Brisbane architects Push are a design focused practice that understands the principal risks for a client are time, cost and quality. We have rigorous management procedures in place to minimise these project risks whilst delivering architecture in the echelon of best practice. 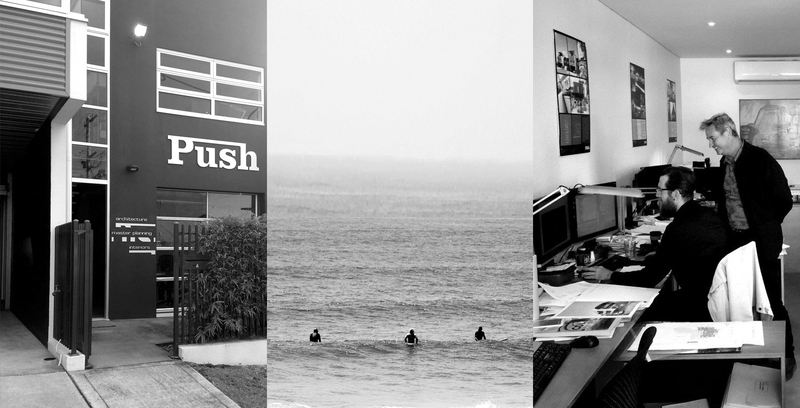 Led by Director Paul Curran, Push is comprised of highly experienced, long term employed architects who are committed to the design excellence philosophy of our practice. As your architects we will listen and absorb your aspirations for your project. We will lead creatively and proactively, ensuring clear communication between all stakeholders. We are dedicated to ensuring the successful outcome of your project. Call us or drop us an email to discuss your new project. Push's Quality Management Systems are certified to ISO 9001:2015. The Push team were friendly and polite and had the ability to quickly grasp a very good understanding of our needs and goals. They provided creative, innovative and practical solutions to achieve our dream home. Not only did Push design a beautiful home for us, they project managed the entire construction phase which eliminated a lot of stress and generated better overall efficiency to implement the project. Push were given a brief to create a bar space that was aesthetically pleasing, functional and a place where students and staff felt comfortable congregating. The space they had to work with included a soulless aging cafeteria that was well past its used-by-date. Push more than met the brief. They managed to turn the space itno a contemporary beautifully designed Bar and Function Centre which students and staff love to go to and hang out. Copyright Push Pty Ltd 2017; Soho WordPress Theme. All Rights Reserved.